A big change in its 2013 itineraries was announced last week when Disney Cruise Line said it would move its Disney Wonder from her present Los Angeles base at the end of 2012 to Miami, while at the same time dropping Seattle in 2013 in order to return to her original Alaska cruise base at Vancouver. 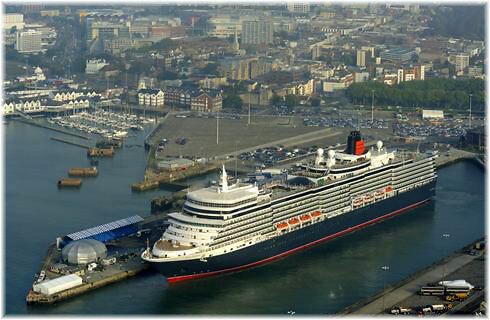 As well, the Disney Magic, which is due to cruise from New York this summer, will return to Europe in 2013, where she will cruise the Mediterranean. Elsewhere, as Royal Caribbean’s Voyager of the Seas prepares to cruise from Shanghai this year, Royal Caribbean continues its involvement as an advisor to China World Cruises. Back in the UK, shipping minister Mike Penning is investigating how weddings at sea could yet be offered on British ships. And the former Russian ship Lyubov Orlova is finally sold to Caribbean buyers after sixteen months’ detention at St John’s, Newfoundland. Disney Cruise Line has recently released its 2013 itineraries for the Disney Magic and Disney Wonder, and they contain many changes. Disney will leave Los Angeles at the end of 2012 in favour of Miami, switch its Alaska base back from Seattle to Vancouver in 2013 and sail from Europe once again in 2013 instead of New York. The 1,754-berth Disney Wonder will also be offering Trans-Panama cruises in the next year or so as she relocates from Los Angeles to Miami for a five-month winter season, before returning to Vancouver for the 2013 Alaska cruise season. When Disney Wonder arrives in Miami on December 23, she will sail a 7-night Christmas cruise and a 7-night New Year’s cruise before starting a new series of 4- and 5-night cruises from Miami to the Bahamas and Western Caribbean. Three Miami-based itineraries will call at a variety of ports including Cozumel, Grand Cayman, Key West, Nassau and Disney’s Bahama private island at Castaway Cay. 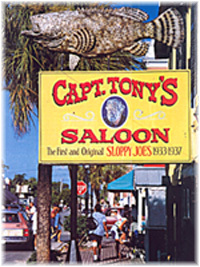 One of the 5-night options will skip Castaway Cay in favour of Grand Cayman. When Disney Wonder returns to Alaska in May 2013, she will cruise once more from Vancouver, her original Alaska base port in 2011 before switching to Seattle this year. Because it is a day’s sailing closer to Alaska, Vancouver allows for a better itinerary, giving more time in Alaskan ports of call. Disney also found that during its 2011 Vancouver season the Canadian port obtained very good feedback from its customers and they were not deterred by higher fares to get there compared to Seattle. 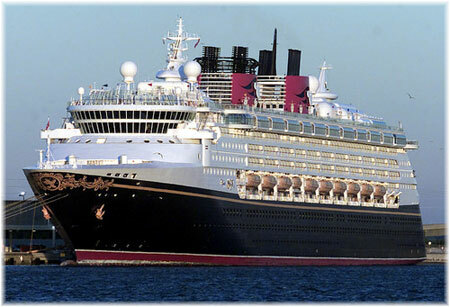 Although cruising from New York this summer, sister ship Disney Magic will then sail from Galveston through May 2013 before heading across the Atlantic for a season of European cruises from Barcelona. While this summer’s New York season has sold successfully, in the long term Disney is returning to Europe after a year out as it wishes to build a long-term European base. 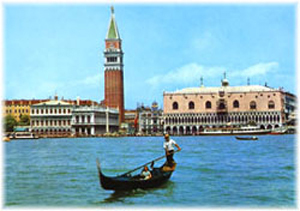 In 2013, Disney Magic will offer a wider mix of European itineraries and destinations, from a 4-night “Mediterranean Getaway” to 12-night cruises visiting new ports for Disney such as Venice and the Greek Isles. The new European itineraries are designed to appeal to a wide audience, from new cruisers who want a short taste of a Disney ship to experienced travellers looking for new destinations. The new ports are split across the two 12-night itineraries, creating what could be a very nice 24-day Mediterranean cruise for those who like back-to-back cruises. On September 12 (“Royal Caribbean’s New Chinese Joint Venture”), we reported that Royal Caribbean International would be chartering its 1,800-berth Legend of the Seas to China World Cruises for a series of twenty-one cruises over a period of four months commencing this March. And in the following week, we reported that China World Cruises’ parent company Shan-Hai-Shu, together with Xiamen International Cruise, had ordered a 100,000-ton 2,000-berth cruise ship from Xiamen Shipbuilding Industry, for delivery in early 2014. Design expertise will be shared by Jiangnan Heavy Industries and research house Shanghai 708. Price of the new Chinese cruise ship was put at $234.5 million, significantly lower than what could be offered by any European or Japanese shipbuilder. But the closest Xiamen Shipbuilding have come to building a cruise ship was a series of vehicle carriers, so it will be interesting to see the end product. 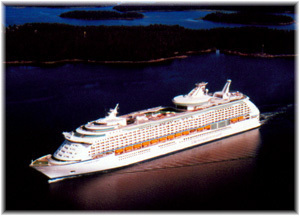 It will also base one of its larger ships, the 3,114-berth Voyager of the Seas, in Shanghai this year. One of the amusing things about cruising from China is language. At one point a Royal; Caribbean ship called the “Marine Myth” was reported to have been chartered to sail from Xiamen – obviously Legend of the Seas translated twice! Legend visited Xiamen for the first time last year. We now look forward to seeing how Voyager of the Seas will be translated. Meanwhile, reports from Xiamen have them turning their Dongdu port into a world-class cruise homeport, which not only meets berthing requirements but includes “shopping centers, theme parks and hotels.” We wonder what the Chinese are basing their experience on. On October 24, we reported that all three of Cunard Line’s Queens would be leaving British registry to sail under the Bermudian ensign, with Queen Mary 2 being the last to do so last month. Now comes news that UK shipping minister Mike Penning has asked his officials to see how British law could be changed to allow weddings at sea. Word has come from St John’s, Newfoundland, that the ex-Russian-owned passenger ship Lyubov Orlova, was detained in September 2010 and last operated by Cruise North Expeditions, has finally been sold to unidentified buyers, said to be based in the Caribbean. When the ship was first detained it was said that Norwegians had been interested in acquiring the 120-berth adventure ship. Sale price was in the vicinity of $275,000 and the sale was effected through shipbrokers shipbrokers Gibson Canadian Global of Montreal. Creditors were owed in excess of $750,000, including $300,000 to 51 unpaid crew members, $250,00 to the previous charterers, Cruise North, and $100,000 to the St John’s port authority. The Lyubov Orlova is to depart St John’s before the end of February. Meanwhile, for its 2011 and 2012 seasons, Cruise North is employing a near sister ship, the 118-berth Clipper Adventurer, which this summer will offer two 10-night cruises and one 13-night cruise in the Canadian Arctic. 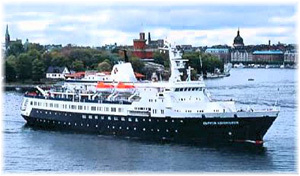 The 81-berth Ocean Nova also offered one 12-night Cruise North departure between Baffin Island and Greenland in September 2011 and may also return again.